Have you ever made something in the kitchen, tasted it and wanted to give yourself a big high-five because it is so gosh-dang ridiculously good? Savannah and I made this amazing Apple Upside Down Cake with a Vanilla Spiced Whipped Cream and my GOSH it’s good! 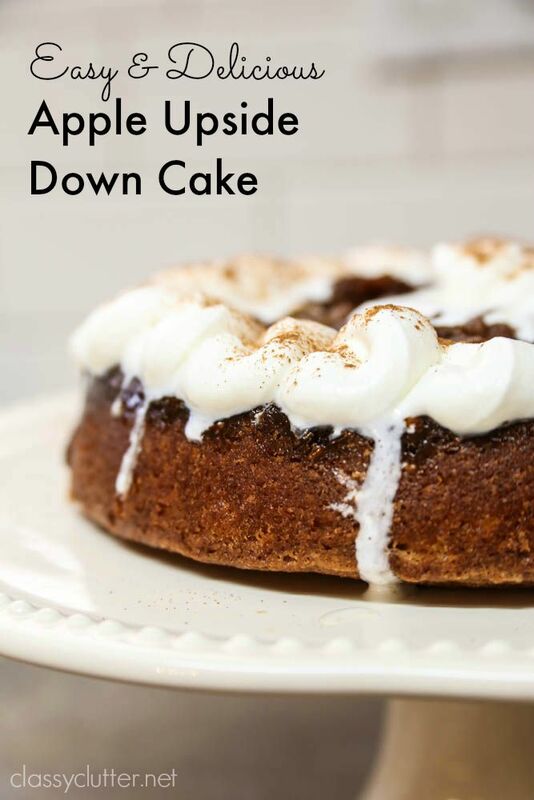 Sorry Pineapple Upside Down Cake, it may be time to bow down to the Apple! 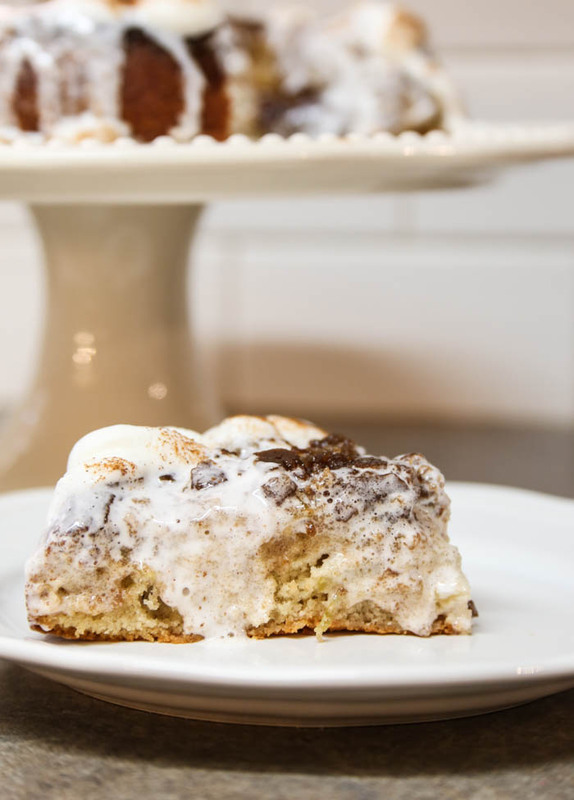 We’ve teamed up with KitchenAid to bring you a super fun, easy and delicious recipe. They challenged us to use an apple as the hero for our dish. Oh! How the apple is the hero of this dish!!! 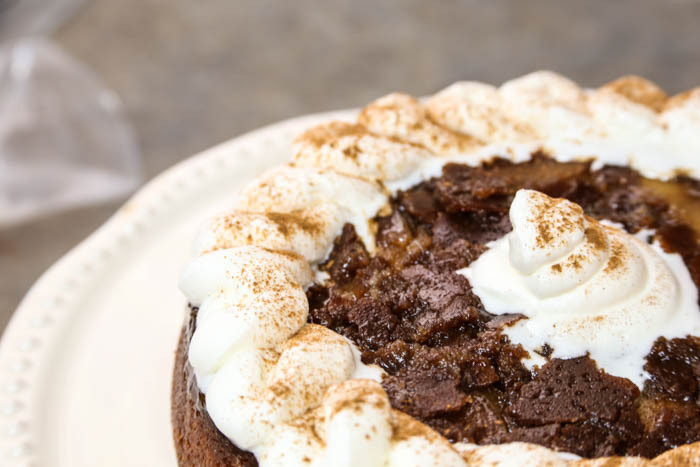 It is so moist and the spices just give it that classic apple dessert taste but the caramelized sugars and cream make it over-the-top-amazing! In a saucepan melt ¼ cup butter on medium until melted. Once melted, add in the brown sugar 1/4 teaspoon of cinnamon and stir until butter mixture bubbles. When it starts to bubble, remove from heat. 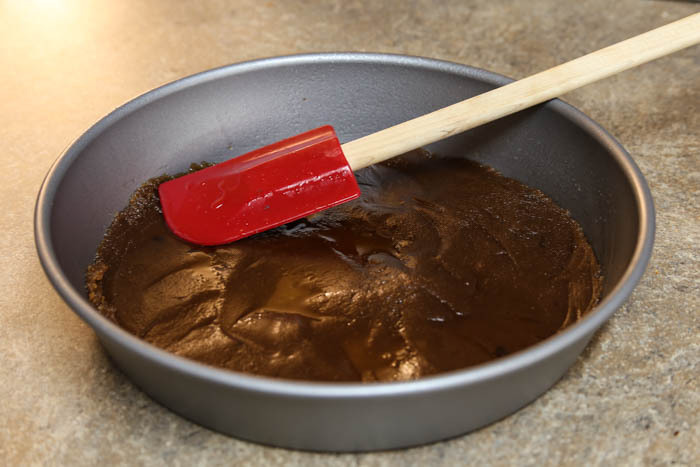 Spread mixture into the bottom of the greased 9″ round cake pan. 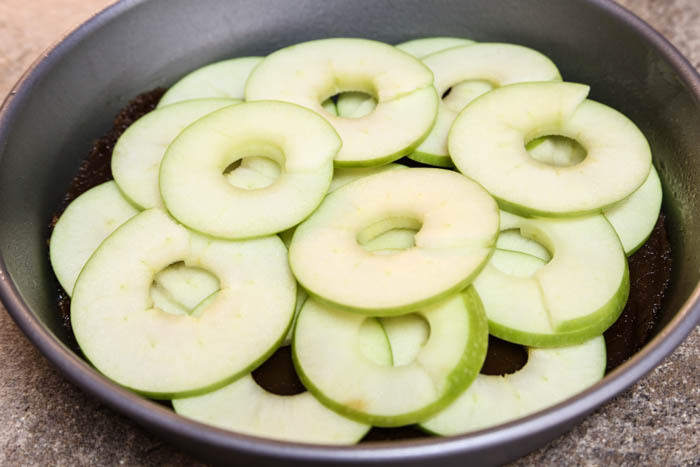 Arrange the apples over the brown sugar mixture. In a large mixing bowl combine flour, baking powder, ½ teaspoon cinnamon and salt. 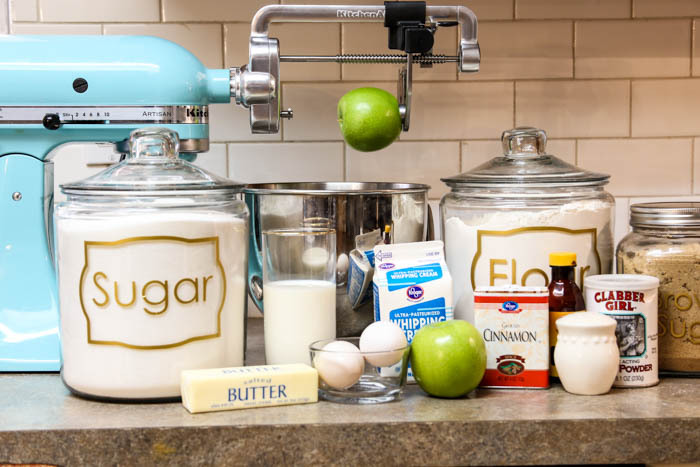 In another large mixing bowl or KitchenAid Stand Mixer, beat 1 cup sugar, and ½ cup butter. Next, add in eggs and vanilla. Slowly add in flour mixture switching off with the milk until it is the thickness of smooth cake batter. 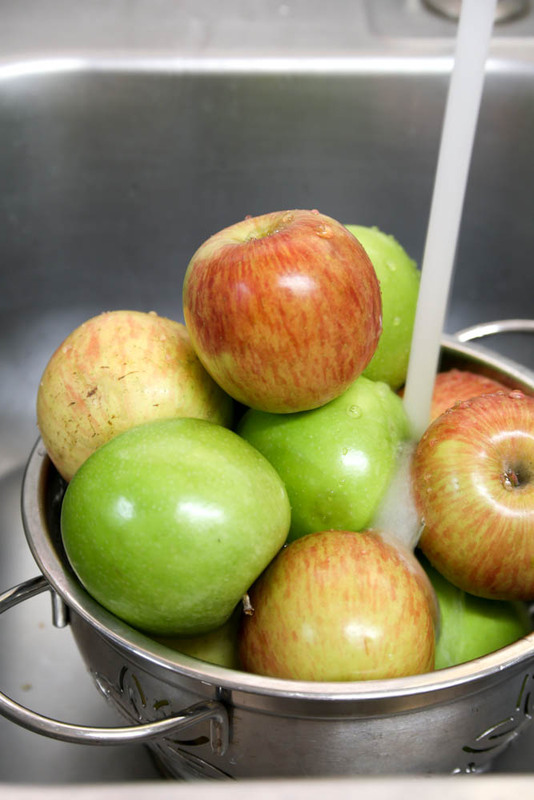 Pour the batter over the apples and spread evenly with a rubber spatula. Bake 55 minutes or until toothpick comes out clean. Place hot cake pan on a wire rack for 15-20 minutes. Next, you’ll make the whipped cream topping. Beat whipping cream on high until it peaks as it thickens. Add in 2 tablespoons sugar, 2 tablespoons of powdered sugar and 1 tsp of vanilla and mix until it is nice and fluffy. Loosen the cake with a knife along the edges if necessary and flip over onto a cake plate. 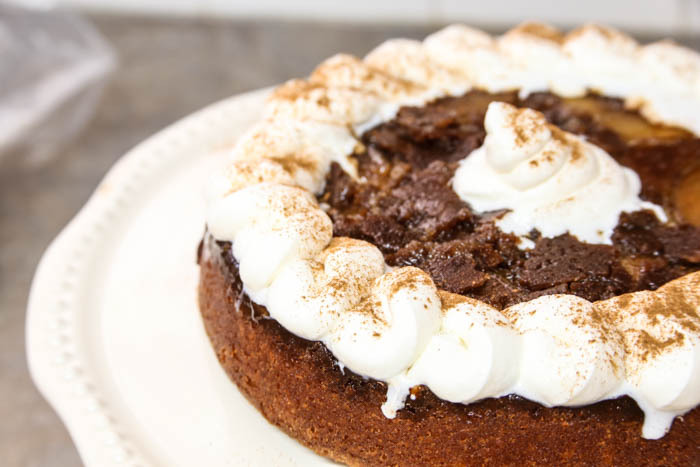 Top with whipped cream topping and dust with cinnamon. 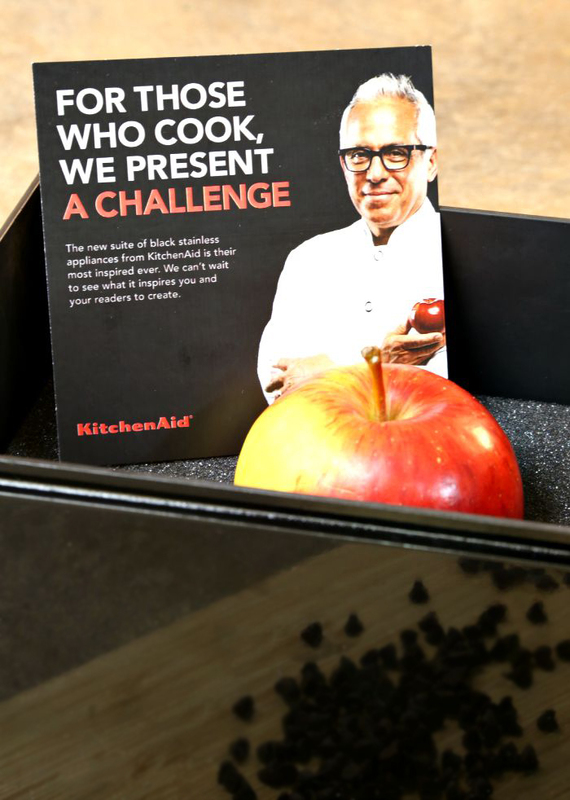 As part of the Apple Challenge, KitchenAid and Food Network Kitchens have teamed up to give away a suite of KitchenAid Black Stainless Steel Appliances and a private cooking lesson with Geoffrey Zakarian! Wanna win!?! I do!!!! You can enter the Apple Challenge by submitting a photo and description of your best dish incorporating the use of an apple! Sweet or Savory! Are you up for the challenge!? Click here for more info about the Apple Challenge. 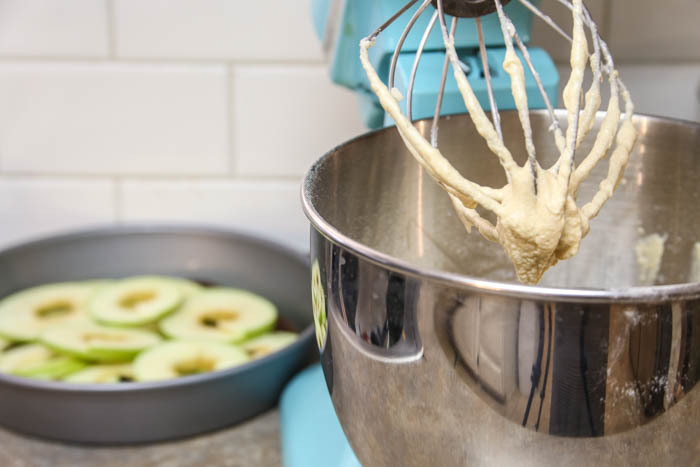 Submissions can be uploaded through Twitter or Instagram, FoodNetwork.com/applechallenge or Food.com/applechallenge Be sure to use #KitchenAidContest as part of your Twitter or Instagram entry! Food Network Kitchens will select the top 4 recipe submissions and the 4 finalist will win a trip for 2 to NYC to push their limits in a live cook-off to cook their dish to be judged by Food Network chef Geoffrey Zakarian! Hello awesome!!! 1 winner will receive the grand prize of a suite of KitchenAid Black Stainless Steel Appliances and a private cooking lesson with Geoffrey Zakarian!!! How cool is that! This is a sponsored conversation written by me on behalf of KitchenAid Elite Bloggers. The opinions and text are all mine. I love apple desserts. Thanks for sharing this recipe, I really like it!